National Parks in Tanzania – Read about Tanzania’s best parks here! Some of Africa’s best national parks are located in Tanzania, and the country is one of Africa’s best safari destinations. The East African country offers numerous national parks, all with their own unique experiences. However, one thing they all have is amazing wildlife and the promise of safari experiences of a lifetime. Read more below about some of Tanzania’s best national parks. Serengeti National Park is Tanzania’s most famous national park and is an absolute must-see on a trip to Tanzania. The national park has one of the oldest and most complex ecosystems in the world. The special thing about the park is that it has hardly changed in a million years. Serengeti is home to an incredible number of different safari animals, and offers a good chance of seeing the big 5, giraffes, gazelles and many, many other exciting animals. If you visit the national park at the right time, you can also experience the great migration of wildebeest. 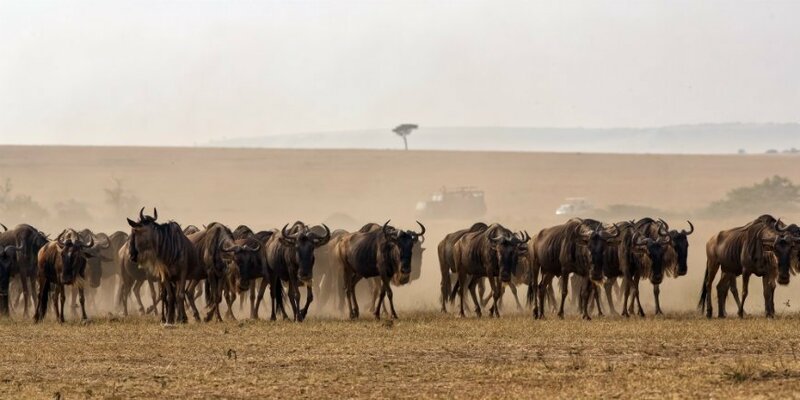 During the migration, millions of hooves cross the Serengeti’s savannah, when gazelles, wildebeest and zebras travel 3,000 kilometres from Serengeti National Park in Tanzania to the plains of the Masai Mara in Kenya in search of grass. You can get right up close to the enormous herds of animals in a period from February to July. If you want to experience the savannah from the air, you can go on a balloon safari. Look down on the animals of the savannah from air while the sun rises over the Serengeti plains. It’s a really unusual and unique way to experience the national park’s savannah. The Tarangire River flows through Tarangire National Park. In the dry season between June and October, large herds of animals flock to the river to drink water. 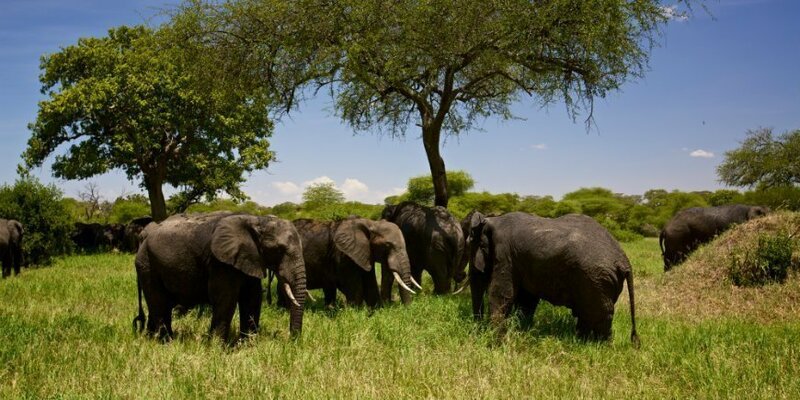 During those months, you may see large herds of elephants by the river – sometimes herds of up to 300 elephants. Throughout the year, you can enjoy fantastic safari experiences in the fascinating national park. Tarangire National Park is also a great place to visit for bird lovers. The park is home to more than 550 different species of birds. You may, for example, see ostriches strutting around on the savannah, or vultures soaring high in the sky to find food. As you make your way through the national park, you will see how amazingly beautiful and varied its landscape is. There are areas of baobab trees, bush savannah and swamp, where flocks of birds come to breed. The Ngorongoro Crater is located in the Ngorongoro Conservation Area. The crater is an extinct volcano that erupted 2.5 million years ago. It is the largest intact caldera in the world. The caldera – or the cauldron – has an amazing ecosystem with abundant wildlife. The wildlife provides good conditions for predators, which explains why the crater has the highest density of lions in the world. 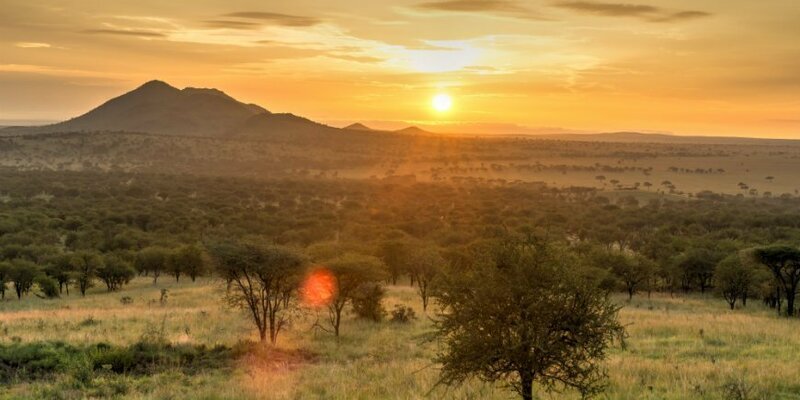 The crater is a UNESCO World Heritage Site partly because it is home to several endangered species, such as the African wild dog and the black rhino, which you may be lucky enough to see on a safari in the base of the crater. The only classic safari animal you won’t see in the crater is the giraffe. The giraffe cannot descend into the crater because the sides are too steep for its legs. 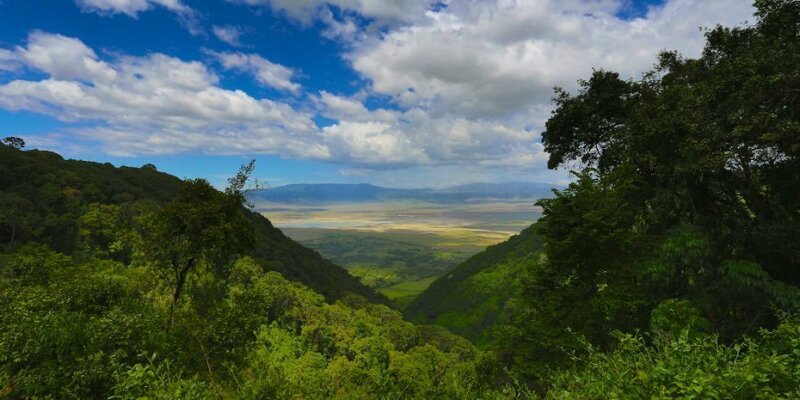 Covering an area of 330 km2, Lake Manyara National Park is one of Tanzania’s smallest national parks. But what the park doesn’t have in size, it makes up for in beautiful scenery. The national park is located below the western escarpment of the Great Rift Valley. A large part of the park is covered by Lake Manyara, which occupies as much as 230 square kilometres of the park’s small area. It also means that the nature is different here to in Serengeti, for example, and besides the lake you can expect to see both open grasslands and jungle-like forest and swamps. The national park is home to many animal species and amazing bird life with more than 400 different bird species. However, the park is especially famous for its tree-climbing lions, which you may be lucky enough to spot in the tree tops, and its pink flamingos feeding on the lake’s shores. When you visit the park, you are also guaranteed to meet a lot of curious baboons. The national park has the largest concentration of baboons in the world. Want to visit Tanzania’s beautiful national parks? 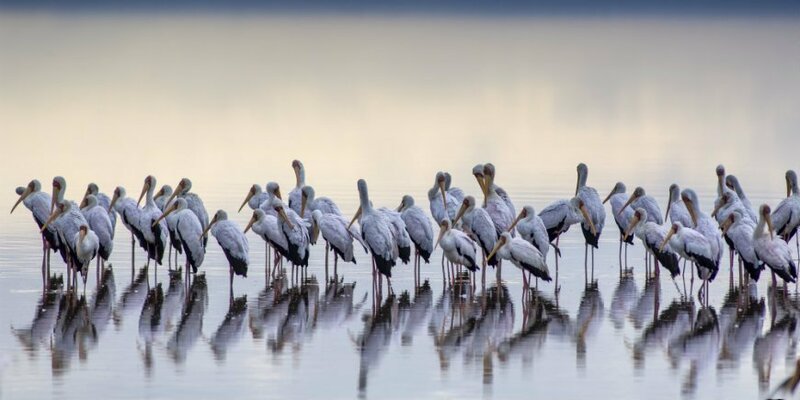 Want to experience the wildlife of the Ngorongoro Crater, pink flamingos in Manyara, or to witness the thousands of wildebeest, gazelles and antelopes crossing Tanzania during the great migration? Go on one of our exciting tours to Tanzania, where amazing experiences in Tanzania’s beautiful national parks are guaranteed.